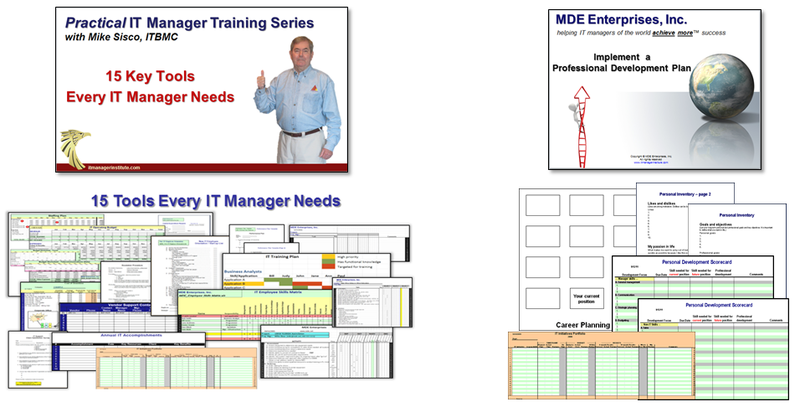 Order the MDE INTRO Package to receive 15 KEY TOOLS Every IT Manager Needs. Included in this package is a 1-hour training video that discusses each tool and shows you how to use them plus a download link to access the tools and templates. Use each tool “as is” or customize them to meet your specific needs. These tools can save you hours of time and boost your productivity in many ways as they help you achieve more success. Plus I’m throwing in a BONUS TRAINING VIDEO titled, Implement a Professional Development Plan. This is one of our most popular training videos and includes a comprehensive process by which to think about and develop your career. 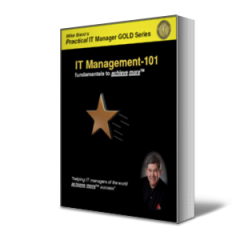 You can use this process and the download tools provided for your personal career development or adapt it to mentor and guide your IT employees. Two training videos and tools to download and use immediately! The training videos sell for $99.00 each on our web site; that’s a $198.00 value. Purchase NOW while the SPECIAL INTRO OFFER lasts for only $9.00. 1. IT Employee Skills Matrix – One of the first things to do is quantify the skills you have on your team. This tool makes it quick and easy to do. 2. IT Training Plan – Eliminate silos of knowledge and skill gaps while you develop technology experts and depth in mission critical skill areas. 3. New Employee Orientation Checklist – Get new employees started and up to speed quickly so they become productive members of the team with this checklist. 4. 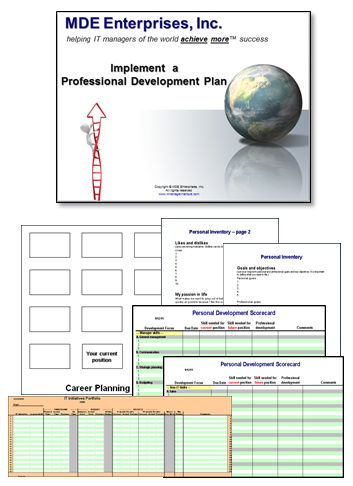 Performance Plan Template – Includes a template for developing Employee Performance Plans plus three sample performance plans. 5. Project Schedule Template – Develop project schedules quickly with this streamlined Project Schedule Template. 6. IT Systems Conversion Project Schedule – Detailed project schedule for an actual system conversion gives you an example to use for your next system conversion. 7. Office Move/Relocation Checklist – Use this Move Checklist for a quick start when you plan your next office move. 8. IT Initiatives Portfolio – Track, monitor, and communicate your organization’s performance and effectiveness in delivering projects with this handy tool. 9. Vendor Support Contacts – Keeping key vendor contact information handy is smart and helps you escalate issues quickly when needed. 10. Escalation Procedure Guide – Use this simple Escalation Guide and sample to develop escalation processes that minimize downtime and respond to problem situations quickly. 11. 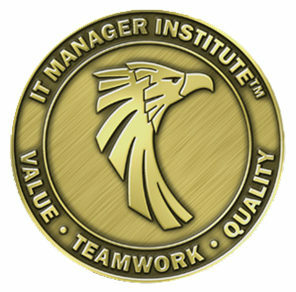 Annual IT Accomplishments – A great tool to track and communicate IT successes throughout the year. If you don’t communicate your organization’s successes, no one will know. 12. Client Rescue Guide – Pull that problem client out of the ditch with this straightforward process, and when you do it will create an ally. 13. Cost of Downtime Template – Excellent tool to quantify the cost of downtime and paint a picture so senior management understands the financial risk of downtime situations. Great tool to help you justify and get IT projects approved. 14. IT Budget Templates – Actually several templates in one which will help you budget faster and smarter. 15. IT Support Survey – Understand five key things about how your client feels about their IT support. Critical information to monitor and improve IT support success. Focus your career like never before with this comprehensive professional development process and tools to evaluate and prepare yourself for career advancement. This training video will guide you step by step in how to think about career planning as well as how to develop specific skills to support your career goals. Includes tools to document and assist in your planning efforts. 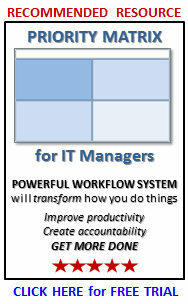 Use this process for yourself or adapt it to mentor your IT employees in their career planning and development. 1. Personal Inventory – An excellent self-evaluation tool that provides a thought process and ability to document key elements that go into career planning and development. 2. Personal Scorecard – A tool to quantify and track the personal development initiatives you want to target. Puts your career plan in focus! 3. Career Planning Matrix – Use this tool to visualize the steps you want to take and the options available to ensure you reach your goal. 4. IT Initiatives Portfolio – Track, monitor, and communicate your organization’s performance and effectiveness in delivering projects with this handy tool. This training video provides additional insight into using this tool. 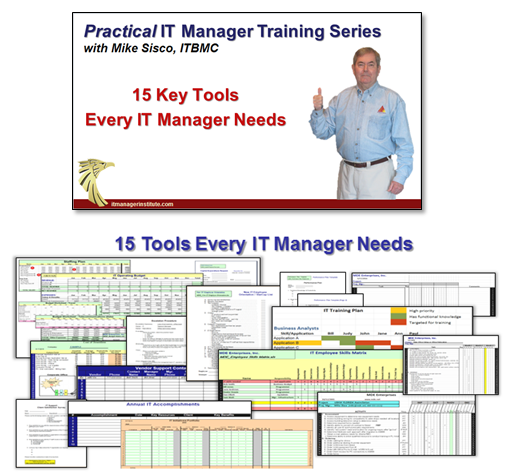 Two training videos with tools you can use “as is” or customize for your specific needs.